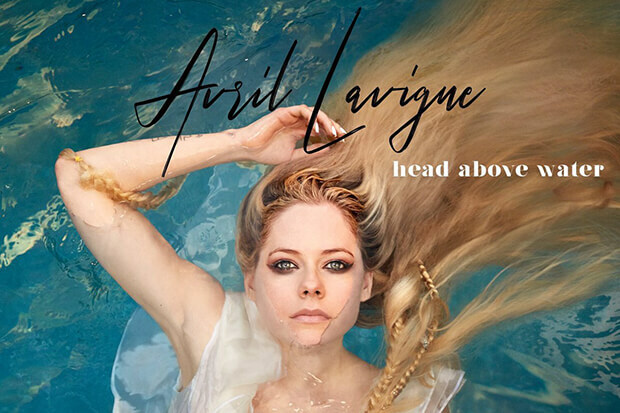 Avril Lavigne Returns With Powerful Pop/Rock Ballad "Head Above Water"
The five-year wait for new Avril Lavigne comes to an end today (September 19) with the arrival of “Head Above Water.” The soaring single, which details the 33-year-old’s battle with Lyme Disease, was produced by Stephan Moccio — a man that knows a thing or two about power ballads. (His songwriting discography includes Miley Cyrus’ “Wrecking Ball” and Celine Dion’s “A New Day Has Come”). However, this isn’t easy listening fare. Avril opens her heart and delivers the best vocal of her career on a song that is destined to help a lot of people get through tough times. “I can’t see in the stormy weather, I can’t seem to keep it all together,” the comeback queen laments in a verse. “And I can’t swim the ocean like this forever and I can’t breathe.” That’s when she hands over the reigns to a higher power. “God keep my head above water, don’t let me drown,” she sings on the powerful chorus. “It gets harder, I’ll meet you there at the altar.” This is everything I wanted from Avril and more. It’s raw and personal — yet still true to her rock-girl-with-pop-hooks roots. With any luck, “Head Above Water” will return her to pop radio and the charts. Watch the lyric video below.